The crescent moon seemed to be leading the sun on this summer morning in Houston, Texas. 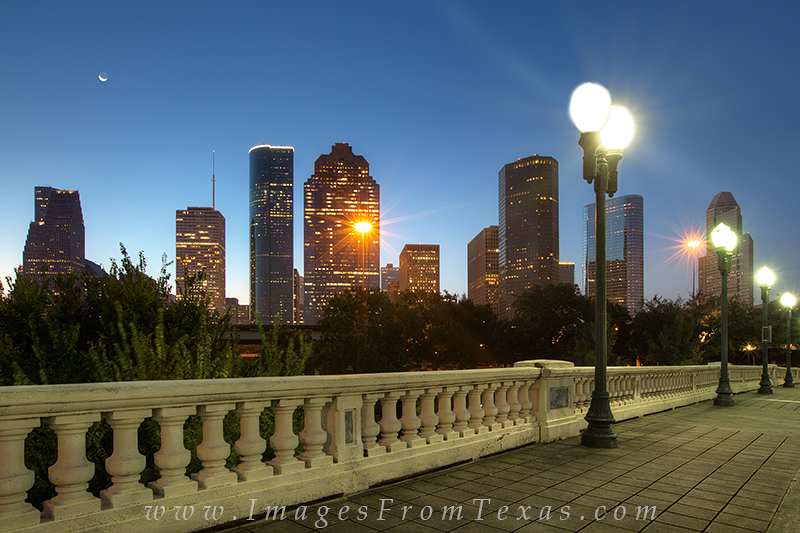 From the Sabine Street Bridge, the Houston skyline rises imposingly across Buffalo Bayou and the greenbelt. Photo © copyright by Rob Greebon.